OUR GOAL SINCE 1967 HAS BEEN TO PROVIDE OUR CUSTOMERS WITH THE MOST PRACTICAL AND ECONOMICAL SYSTEMS AND COMPONENTS IN THE PROCESS HEAT INDUSTRY. 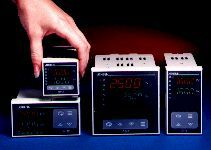 When specifying components, (heaters, controls, or sensors) for new and existing applications, let our experienced engineering technicians provide you with a choice of cost-effective compatible process equipment that works. The Jack Barber Company provides a complete line of Process Heat and Control Equipment for Industry. Our products include Electric Heaters, Process and Temperature Controls, Power Controls, Temperature Sensors, Pyrometers, Complete Systems and Associated Accessory Items for High Temperature Applications. © Copyright 2011. The Jack Barber Company®. All rights reserved.